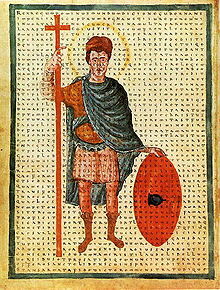 Louis the Pious (778 – 20 Juin 840), an aa cried the Fair, an the Debonaire, wis the Keeng o Aquitaine frae 781. He wis an aa Keeng o the Franks an co-Emperor (as Louis I) wi his faither, Charlemagne, o the Haly Roman Empire frae 813. ↑ German: Ludwig der Fromme, French: Louis le Pieux or Louis le Débonnaire, Italian: Luigi il Pio or Ludovico il Pio, Spaingie: Luis el Piadoso or Ludovico Pío. This page wis last eeditit on 8 September 2015, at 01:54.